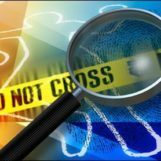 REXFORD, Kan. (AP) — The Kansas Bureau of Investigation says the deaths of a Kansas father and son were a murder-suicide. Rawlins County emergency responders found the bodies of 74-year-old Gary Withers and 41-year-old Daniel Withers Feb. 1 on a farm in northwest Kansas. The KBI said in a news release Wednesday that preliminary autopsies revealed the elder Withers was killed by a gunshot wound and his death was a homicide. The autopsy findings indicated Daniel Withers died from a self-inflicted gunshot wound. The KBI says evidence suggests that Danny Withers shot his father, Gary Withers, and then shot himself.